What Were The Most Visited Countries In 2017? Travel and tourism is the world’s largest commercial service sector industry. The Tourism industry is one of the largest financial contributors to New Zealand’s economy with tourists coming from all corners of the globe! Many of New Zealand’s international tourists come from Australia, North America, Japan and Europe. In this blog post, we wanted to see which countries had the most international visitors in 2017. We’ll also show you how to find the best travel insurance quotes for your international trips. Thailand continues to be one of the most popular travel destinations in the world. Over 30 million people from across the globe visited this tropical paradise in 2017. The sunny weather, delicious food, tourist friendly environment and overall affordability of Thailand make it a very appealing travel destination for holiday seekers. The historical landmarks, beautiful architecture and culture of the UK makes it a very appealing destination for holiday seekers. Many UK visitors come from North America and other parts of Europe, with London being the most popular city to visit. Over 35 million visitors were recorded in 2017 and this number continues to grow. Europe continues to dominate the travel industry as France remains the most popular European destination. 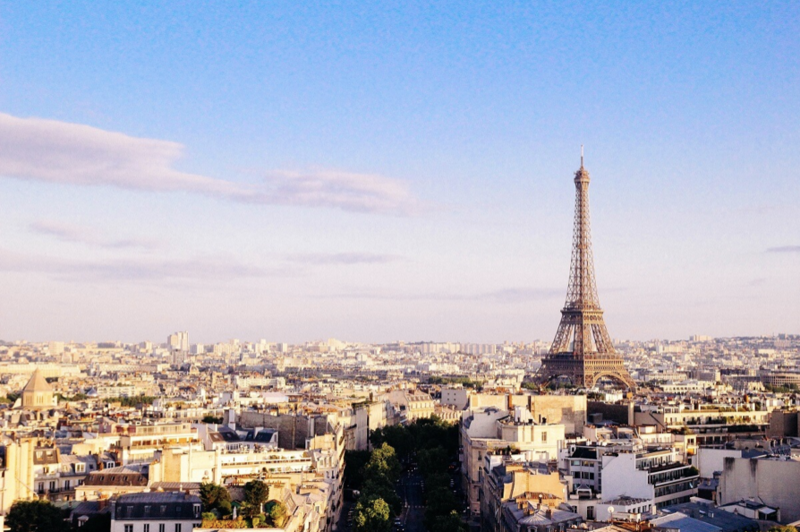 From the allure of The Louvre that holds the Mona Lisa to the iconic Eiffel Tower in Paris, it’s easy to see why over 80 million people visited France in 2017. Spain experienced the largest increase in international arrivals compared to all the countries mentioned on this list. Well known as a ‘tropical’ destination in Europe, the magnificent beaches, rich culture, local cuisine and historical locations make Spain a must visit location for anyone. Over 75 million people visited Spain in 2017, making it one of the most visited locations in Europe. The number of international renowned beer festivals and cultural events make Germany a tourist magnet for people all over the world. Oktoberfest alone attracts over 6 million people. It’s hard to say no to traditional German beer, food, dance and music! Rounding up our list of the most visited European countries is Italy. The Italian charm brings over 50 million visitors from across the globe. Enchanting vineyards, designer fashion shows, Venice, Rome, the leaning tower of Pisa, Italian food! That barely scratches the surface for why Italy is one of the most popular spots for international travellers. Japan experienced a record breaking number of visitors in 2017 with over 28 million recorded visitors. Japan is known for its rich culture and is a top travel destination for people of all ages. The most popular cities include Tokyo, Osaka and Kyoto. The beautiful landscapes look like they’ve been ripped out of the popular anime shows that are enjoyed by millions of people across the world. It’s not hard to see why Japan is such a popular travel destination. China is predicted to become the most visited travel destination in the world. Foreign tourists are being drawn in by the unique culture, historical landscape and iconic landmarks such as the Great Wall of China, Forbidden City, Three Gorges and the large array of historic temples. Tequila, tostadas, tacos, burritos, sombreros, the Day of the Dead – Mexico has a rich culture and history that is known across the globe. Over 35 million visitors were recorded in 2017 and that number will continue to grow. The diverse country of the United States continues to make it one of the most popular destinations for travellers. With iconic and internationally known cities such as New York City, Las Vegas, Los Angeles And San Francisco, there is a large array of activities to do whether you want to explore the national parks or go sightseeing in one of the popular cities. With so many popular travel destinations available to you, you’re going to want to start planning your trip as soon as possible. The process of planning any holiday can be a frantic activity. One commonly overlooked aspect of holiday planning is travel insurance. Sorting out your travel insurance as soon as you book can make traveling a less stressful experience. At glimp, we help you compare travel insurance plans so that you can find the best travel insurance quotes around.